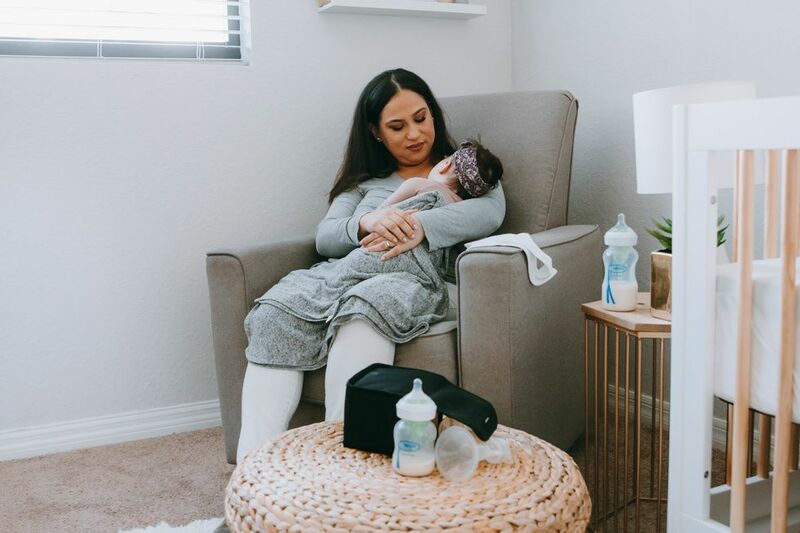 Finding an appropriate time and place to pump is challenging for many working mothers. And when you're working retail and you find yourself minding the store alone, it becomes even harder. That's why Codey Burghard, a mama herself, was sympathetic when she rolled up to a dollar store in Ohio only to find the door locked and a hand-written note posted. It reads: "Sorry. Had to pump for baby [and no one] else is here. Be back in 30. Thanks." "I'm sure there's gonna be at least one customer who complains," Burghard captioned a photo of the sign, which she uploaded to Facebook, "but I support this 100% it's not the employees fault at all, pumping at work is a right." It's great that customers like Burghard can empathize with the anonymous mother rather than railing on her for inconveniencing them, and it's also great that note writer felt empowered to take the break that her body (and her baby) need her to take. Burghard's post went viral and the majority of the comments are quite positive and supportive of the note writer, and according to Burghard, when the sign came down she went in and showed the mama who penned it just how many people supported her. "I went back and told her I thought it was awesome and showed her how many people supported her. She was so sweet and said she was scared but she really needed to pump," Burghard wrote on Facebook. 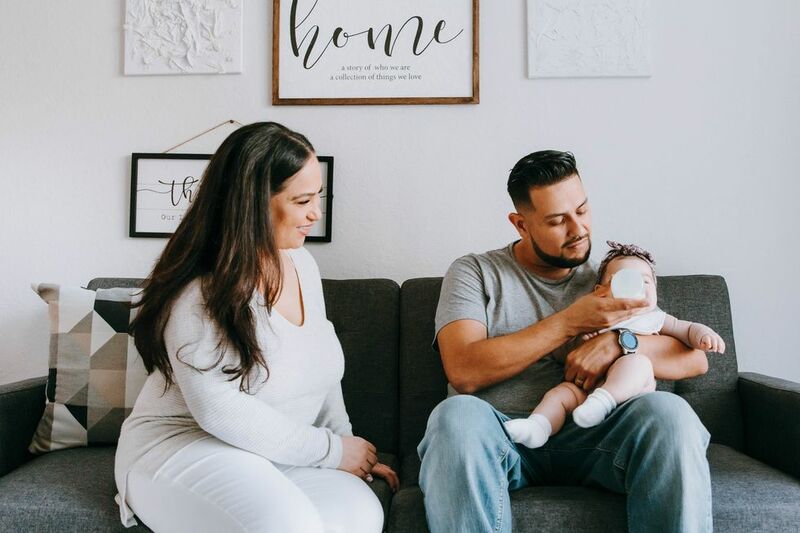 This is a story about moms supporting moms, but it also highlights the problems with accessing pumping breaks as a working mom in America. 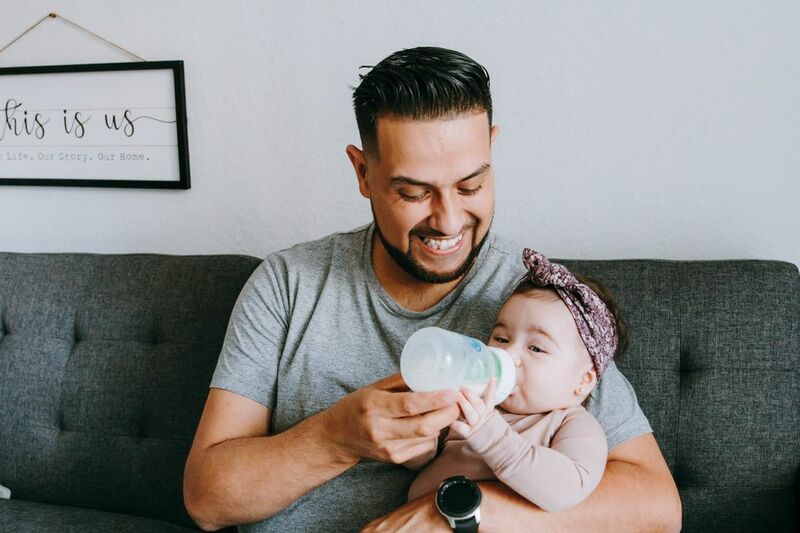 Millions of employees in America benefit from the Fair Labor Standards Act (FLSA)'s Break Time for Nursing Mothers law, but because that was passed as an amendment to an existing law regarding overtime pay, some workers in certain professions aren't protected by it. As a retail employee, the note writer is likely not exempt, so under section 7 of the FLSA, her employer must provide a "reasonable break time" when she needs to pump and "a place, other than a bathroom, that is shielded from view and free from intrusion from coworkers and the public, which may be used by an employee to express breast milk." However, that doesn't mean putting up that sign wasn't super scary for the employee. According to a study published in the journal Women's Health Issues, moms working in lower paying jobs are much less likely to have access to pump breaks or a place to pump at work than those with higher incomes, and a recent report by the report by the Pregnancy Accommodation Working Group found that in too many cases, when working moms speak up about needing to pump at work, they find themselves out of a job. Working moms need better protection at the federal and state levels, but we also just need a work culture that recognizes employees as human beings with families and bodies and biological needs. And human beings need breaks. When celebrities post photos of themselves pumping at work people call them "brave," but they're also privileged in a way that most people aren't. They don't have to worry about making customers mad, or even getting fired, but this employee did. The mama who wrote this note deserves just as much support as Rachel McAdams.